Solo appearances include Vienna, Beijing, Washington DC, Venice, Cremona, Paris, Copenhagen and Miami. He was a founding member of the award-winning Coolidge Quartet, serving as the first ever Guarneri-Fellowship Quartet at University of Maryland. Borup has performed live on National Danish Radio, National Slovenian Radio, National Australian Radio, Radio Hong Kong, and has been featured on NPR’s “Performance Today.” In addition to numerous other prestigious prizes and fellowships, Borup was the only Dane to win the International Yamaha Music Prize. 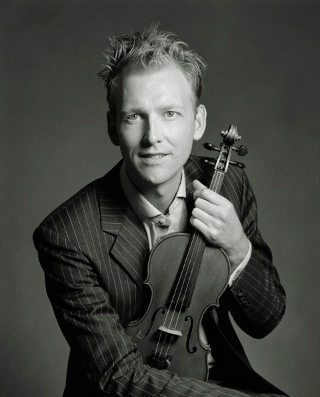 As an active educator, Borup has written articles for The Strad and American String Teacher on topics ranging from violin acoustics to intonation. In 2015 Dr. Borup was invited as Guest Professor at the Saarburg Festival in Germany. Dr. Borup was the director of Chamber Music Institute at the Music@Menlo Festival in California from 2005-09 and has, since 2009, directed the University of Utah Chamber Music Workshop. Borup’s main teachers were Arnold Steinhardt, Philip Setzer, David Takeno, Almita Vamos and Peder Elbaek. He also worked extensively with The Guarneri, Emerson and Juilliard Quartets, Isaac Stern, Bill Preucil and Hatto Beyerle. Please visit www.hasseborup.com for more information.